A startup is a newly formed business enterprise aimed at serving an unfilled need of the chosen market. A startup is a small business venture which is in a phase of development and has newly launched products/services in the market. A startup business is created by a person, commonly known as an entrepreneur, to meet the needs of potential customers. 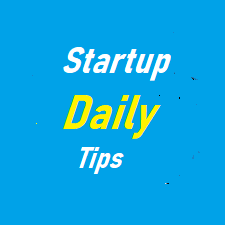 What you need to keep in your mind is that a business in the early development stage of its life is called a startup. When we think of a startup, a picture of a newborn plant or a seedling conjures up in our minds. The way we help a seedling nourish while giving it manures, fertilizers, and water, similarly a startup needs finance, people and other resources to attain growth. If entrepreneurs fail to provide what is required by startups, it is inevitable that they will witness the death of their new businesses. A startup is a risky undertaking because no one really knows whether it will succeed or fail in the future. That is why we find startups being funded by their founders because no investor wants to risk his or her money. However, generally, a startup does receive a bank loan. Startups generally absorb more costs over producing profits. Reasonable profits are produced when startups reach to the stage of growth. Every startup, no matter which market problem it aims to solve, follows a business model, a set of plans that make it able to run and make a profit from its target customers. A for-profit startup makes the lives of its intended customers easier in one hand while as generates profits on the other hand. Most startups ( 90% ) fail for one or the other reason. Some fail as a result of immature planning while as some fail for not being able to raise funds. The remaining 10% of startups turn later into successful companies.